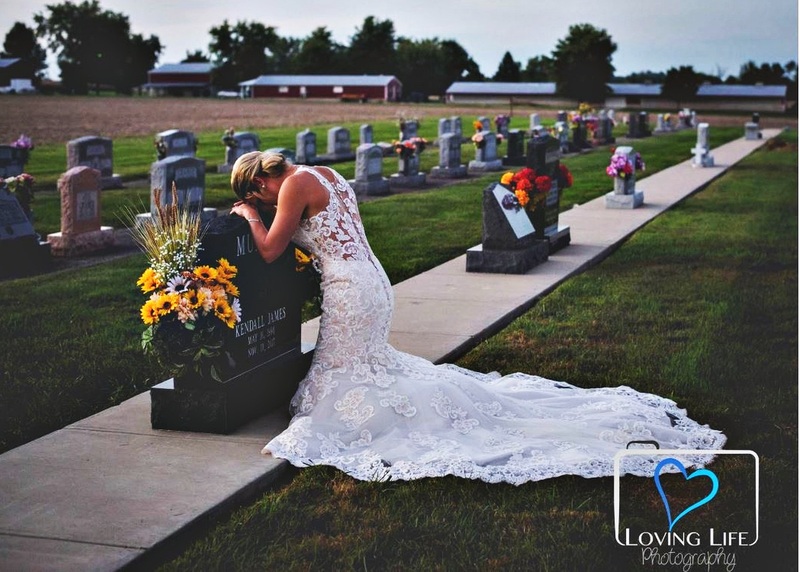 Pictures of a bride in a wedding dress visiting the tomb of her fiancé on the day they were married have moved Internet users into social networks. American Jessica Padgett had scheduled her marriage to Kendall James Murphy for September 29 this year. However, Murphy, a firefighter in Montgomery, Indiana, died before they could say "yes." In November last year, Murphy, 27, did not resist an accident caused by a colleague who drove drunk and hit three cars. The victim was getting out of his car to aid in an occurrence, when also firefighter Colby Blake struck him, killing him at the time. Blake had a blood alcohol level of 0.21 - more than twice the legal limit where they live. To honor the memory of her future husband, Jessica visited Murphy's grave dressed as a bride, and the guests also went in for support.